It is in a sealed separate plastic bag. 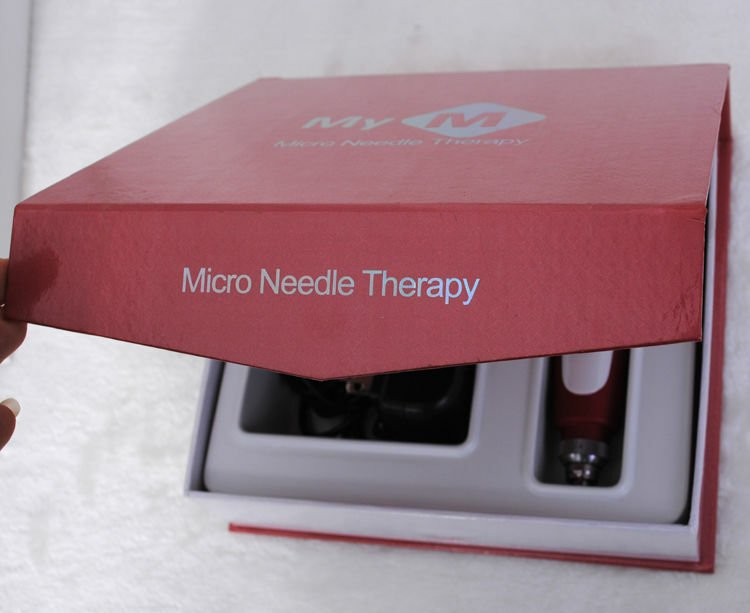 Product description: New Auto Microroller Motorized Roller Needle Skin Theraphy MY-M From Korea Derma is the latest skin therapy system. Treat wrinkles, acne, scars, and burn scars. 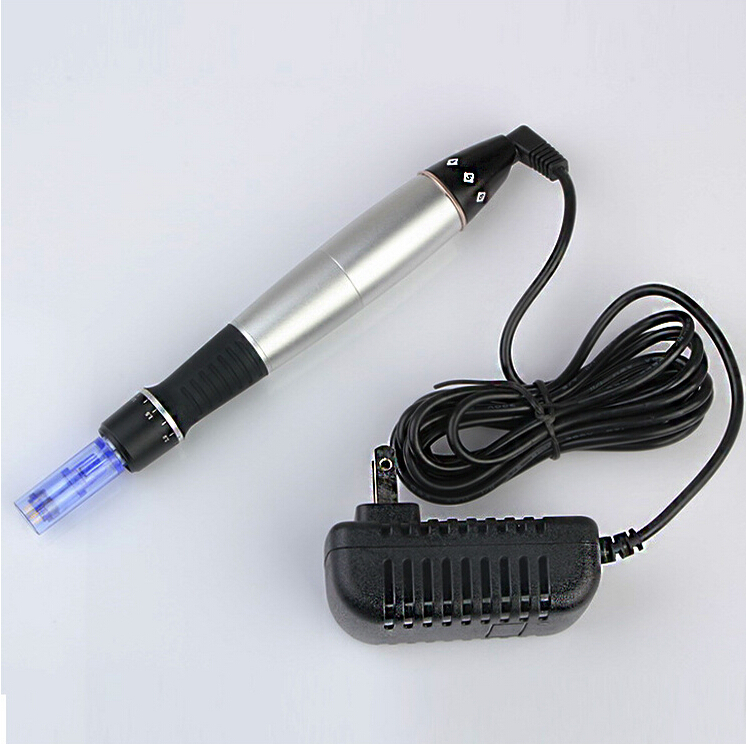 This is the latest skin therapy system. 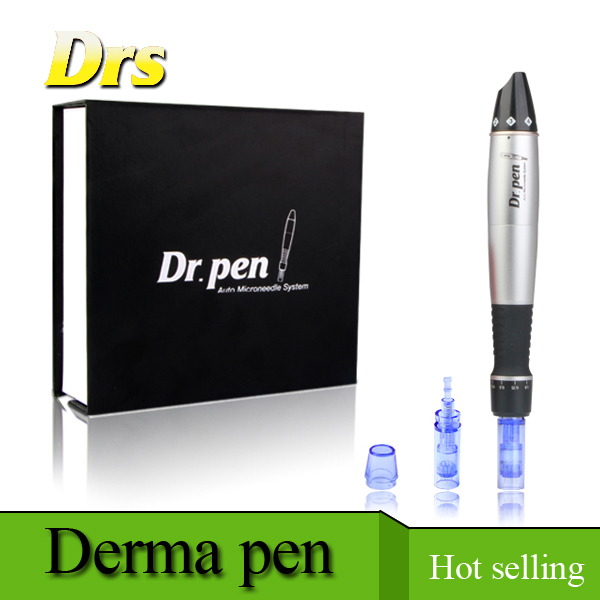 Treat wrinkles, acne, scars, and burn scars. A person’s skin complexion is one of the first things we notice. 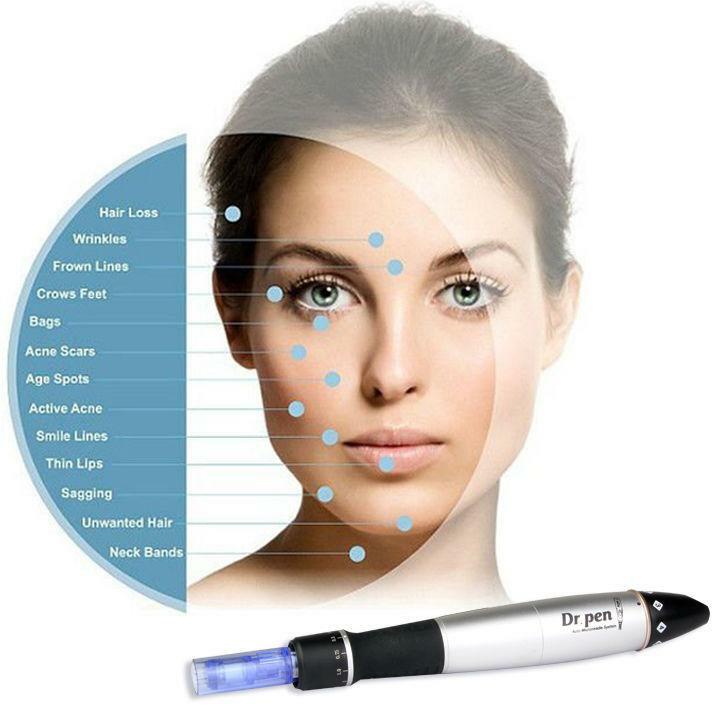 Now you can offer a better treatment with this new device This auto derma needle stamp uses multiple needles that vertically pierce the skin. 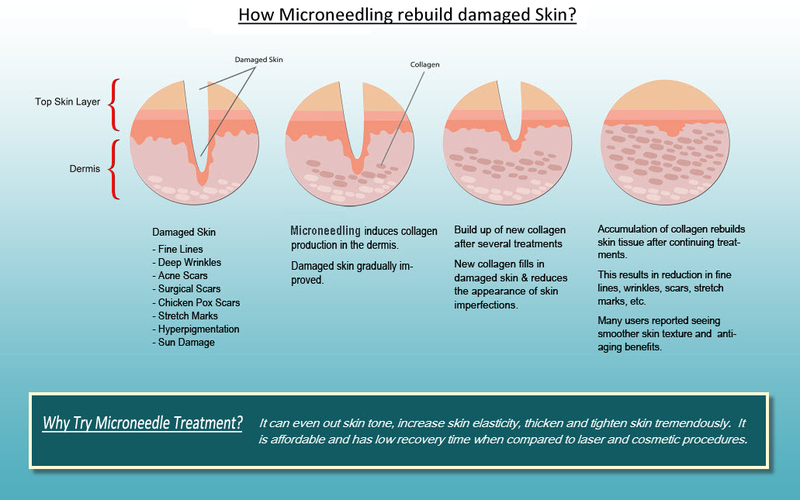 This enhances rejuvenation results and is far safer for the client because there is much less epidermal damage. 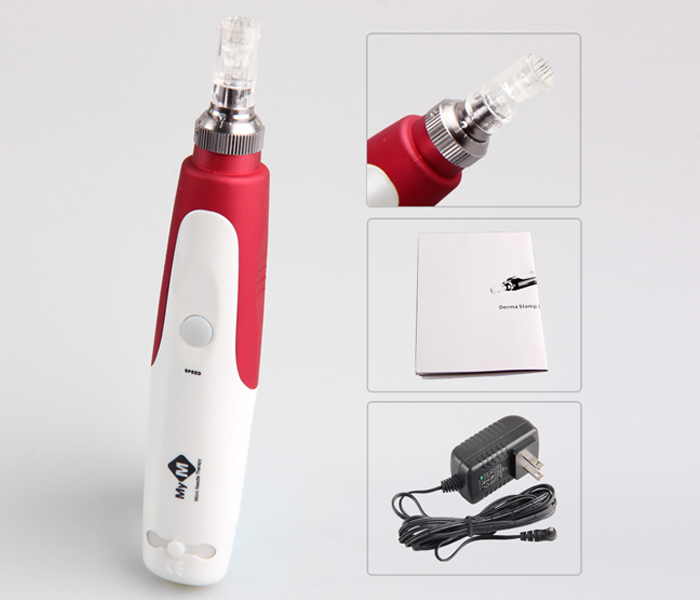 The automatic vibrating function of the Dermapen increases the effectiveness of treatment by increasing absorption of products, while reducing pain and discomfort. 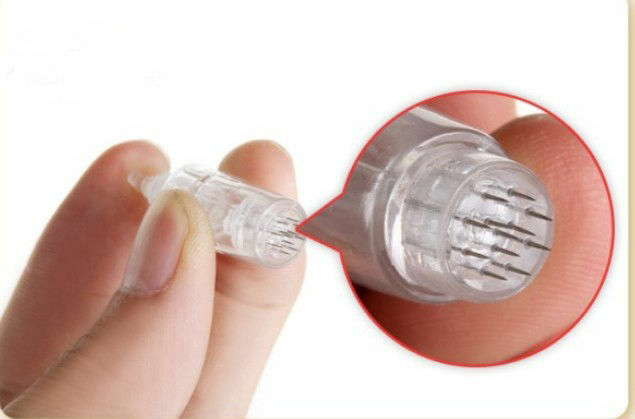 The sterile needle tips are designed to be disposable and for are for a single-use only, to prevent cross-contamination and infection. 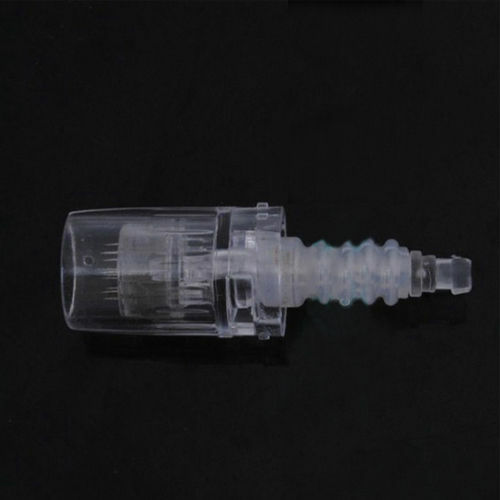 The needle tips cannot be properly decontaminated due to the materials used in the construction of the needle tip cartridge itself. 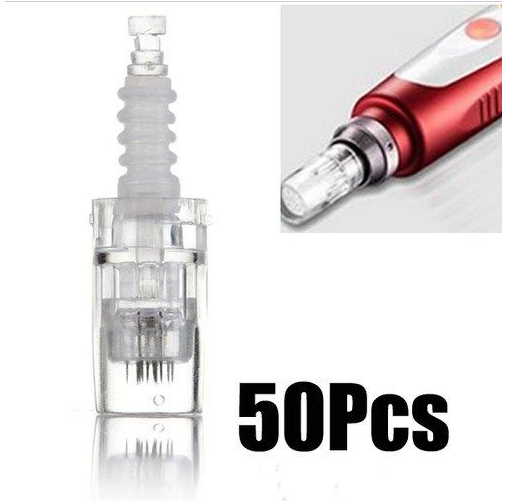 We strongly recommend -against- re-using needle tip cartridges, as patient safety is of paramount importance. 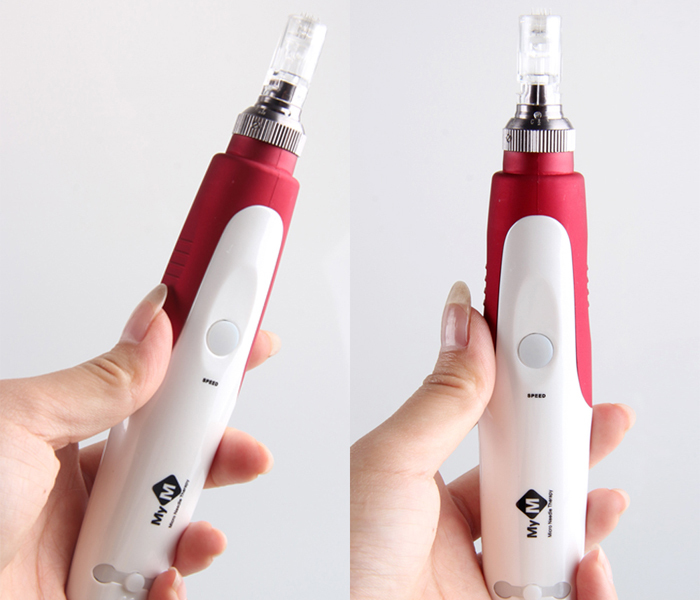 The design permits the user to change the needle tip cartridge after each use, at a very low consumable cost with each treatment. 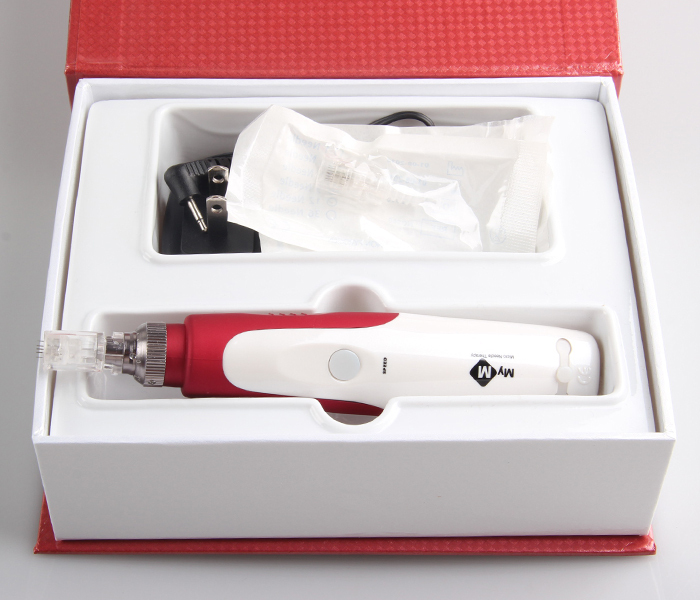 A low consumable cost, combined with little to no downtime for the patient, makes it an ideal solution. 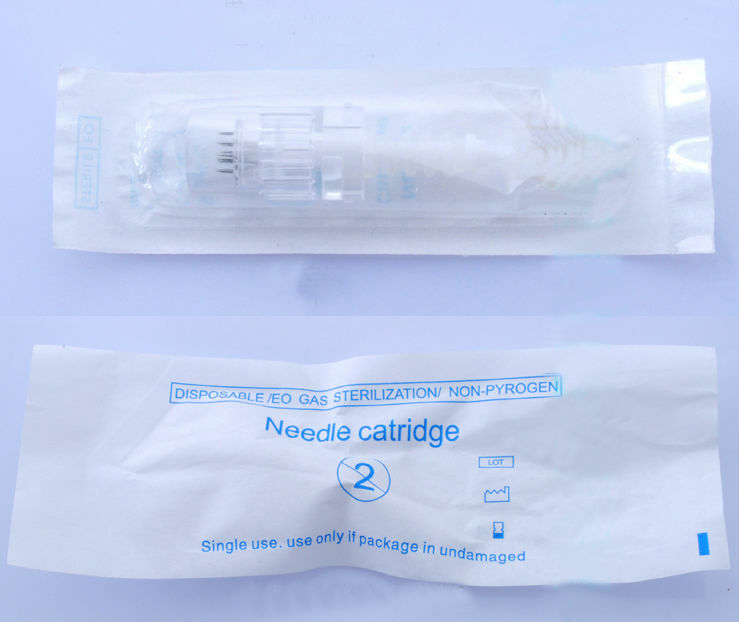 No cross infection – disposable needles.